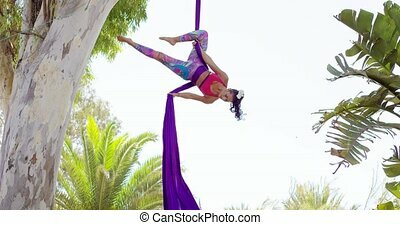 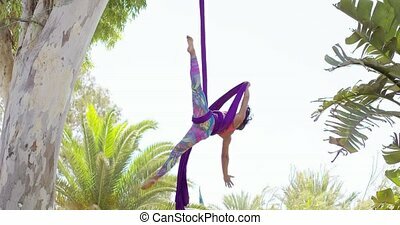 Female acrobat working outdoors on silk ribbons. 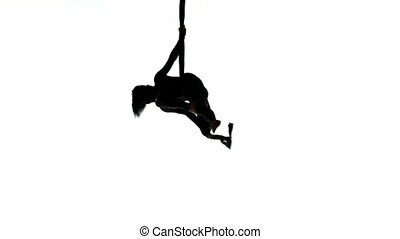 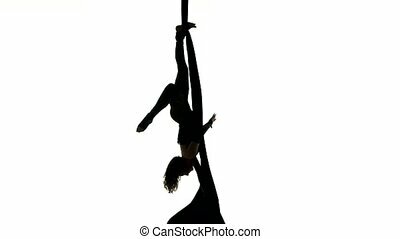 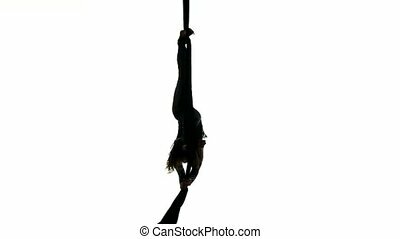 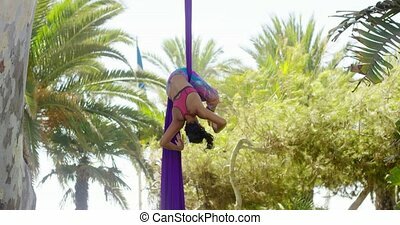 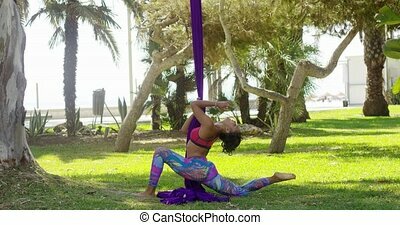 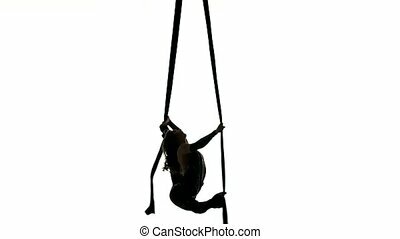 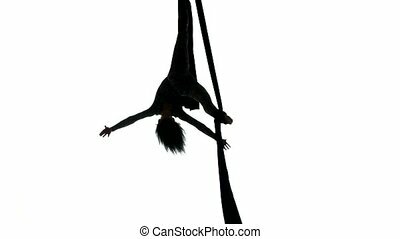 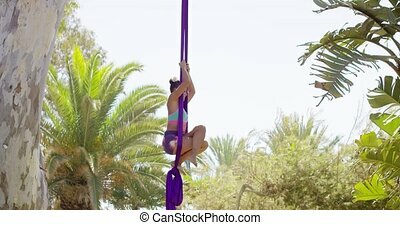 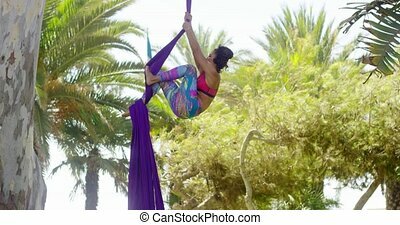 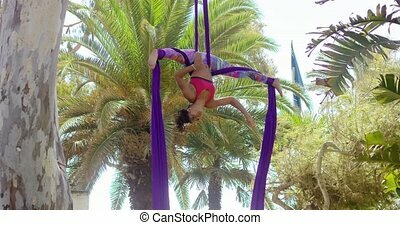 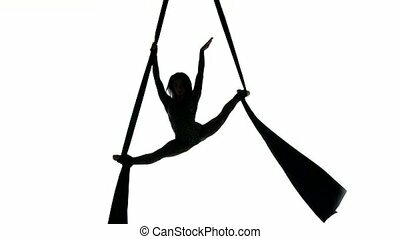 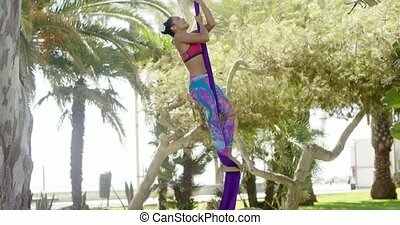 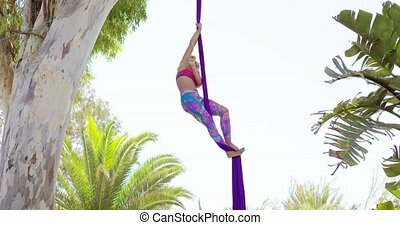 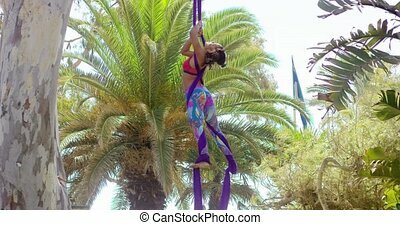 Young female acrobat working outdoors on silk ribbons hanging suspended from a tree in a tropical garden. 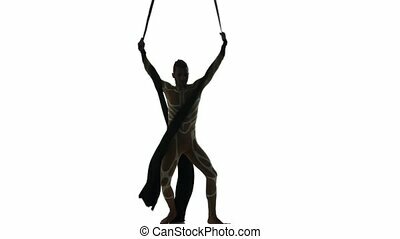 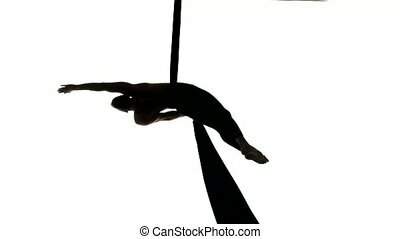 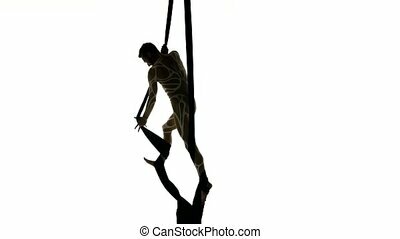 Man dancer on aerial silk, aerial contortion, aerial ribbons, aerial fabric in posing exercise.